All Wars Are Bankers Wars! Do You Know Where Your Income Tax Goes? 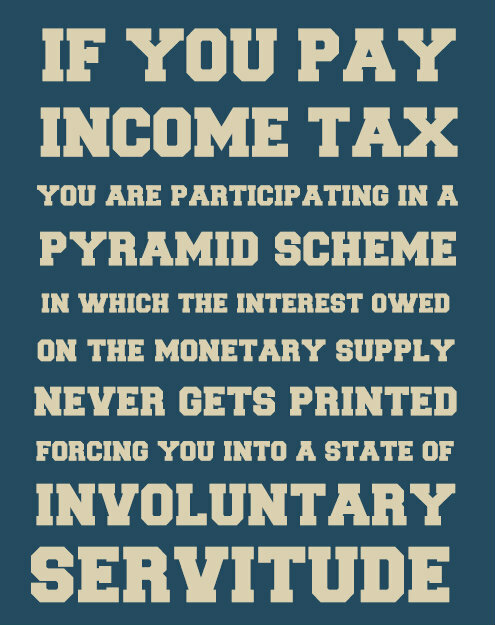 If the public fully understood that the tax on their labour, taken by threats of violence, was used to pay the interest on the money created out of nothing by the central banks, and by virtue of the fact that the interest never gets printed or issued creates an exponential debt burden which is impossible to satisfy, yet they are expected to pay in full, and that the value of their pound continues to decrease as a result, and to which the private share holders of those central banks profit, all of which have plunged them into a state of involuntary servitude (free range slavery), there would be a revolution by tomorrow morning.